The Expert Witness Courtroom Testimony course walks you through what it's like to testify as an expert witness in a real case. During the class, you will spend time with practicing attorneys giving your deposition, preparing for your testimony, as well as spending the day in a courtoom where you will take the stand for direct examination and cross examination. If you have never been call upon as an Expert Witness, this class will give you the opportunity to better understand the monumental task of preparing for court and then experience testifying in a real courtroom environment with practicing attorneys. The classroom portion of the course covers: Legal System Overview: Court Rules and Case Law: Qualifying as an Expert and Standing by YOur Curriculum Vitae: and How to Write and Present Your Opinion Analysis. The court preparation covers: The PRactical Exercise: Court Exhibits:How to Present and What Should be Included; Presentation of Evidence: Best Practices and Working with an Attorney. 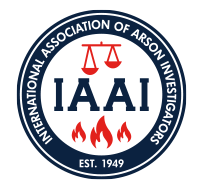 The course meets the testimony requirement for the IAAI-CFI (IAAI-Certified Fire Ivestigator) application. Students will be required to update (or create) their Curriculum Vitae (CV) Resume, prepare an opinion analysis and court testimony plan, and create two courtroom exhibits. You will recieve your pre-course work six weeks before the course date. You must be prepaid to receive the course materials. All IAAI offerings are subject to cancellation or changes. Any cancellation must go through the IAAI Training Department to be applied toward future IAAI Course.